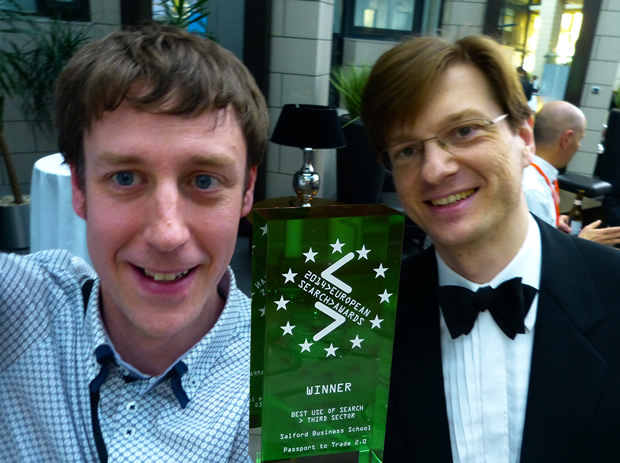 How did this SEO strategy allow the P2T2 team to win the ‘Best use of Search – Third Sector’ at the European Search Awards? 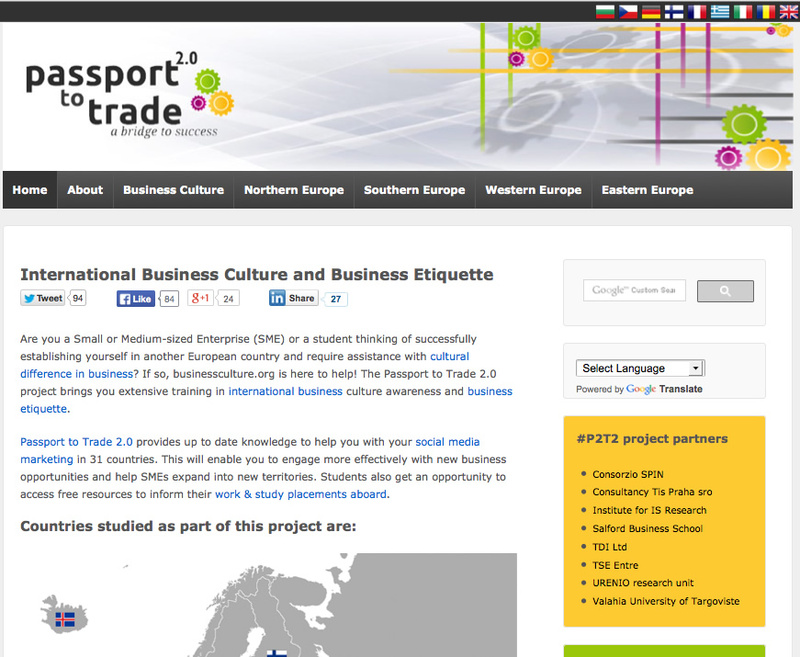 The overall aim of the Passport to Trade 2.0 project was to research and raise awareness to a global audience of differences in business culture, including use of social media for business, across 31 European countries, thus helping to improve international trade with these countries. Passport to Trade 2.0 was a European Commission-funded project* running from Oct 2011 to September 2013 and presented a challenge of sustaining the project results dissemination and impact beyond the funded period. 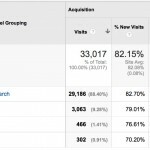 Organic SEO and content marketing was chosen as the main strategy to maintain visitors’ flow to the website during and beyond the funded period. 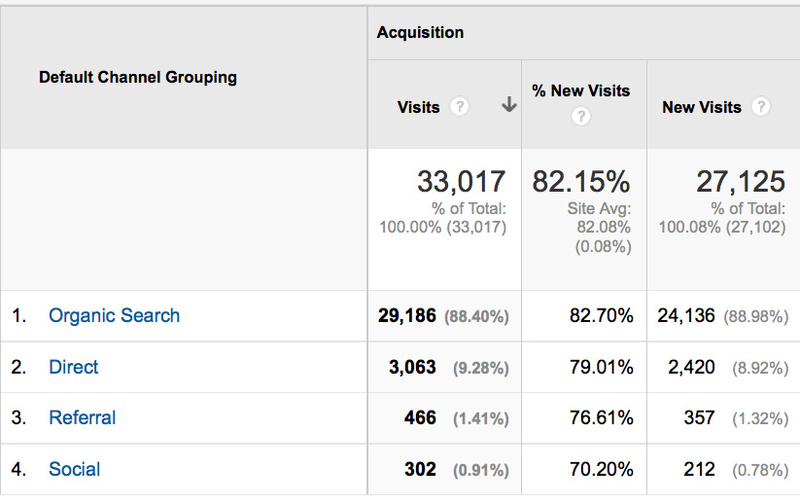 What were the SEO objectives? a) Increase the number of organic search visitors to the main website from about 50 per month in 2012 to 3,000 per month post project launch. b) Improve organic ranking on Google for strategically important keyword terms such as ‘international business culture’ ‘business culture +[Country Name**]’, and ‘business etiquette in +[Country Name**]’. In three months from the end of the official project (September 2013) to achieve at least 1,000 visitors per month for first page organic search traffic. **Where [Country Name] is one of the 31 countries being researched by this project. Keyword research informed the selection of strategic terms such as ‘business culture’ with a prefix of the individual country names. Extensive keyword research informed the sections and the sub-sections of the individual country guide pages as well as their titles and descriptions. 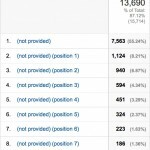 support from an automated advisory SEO tool. A solid on-site strategy to aid organic search was closely adhered to for the project. Whilst the main strategy was to target English speaking audiences, eight other language micro sites have been created and translated by in-country specialists to maximise the impact for speakers of other European languages: Czech, French, German, Greek, Bulgarian, Romanian, Italian and Finnish. The strategy was to create great content – text, animation, video and PDF files and an inbound link ecosystem – to drive traffic to the main website – businessculture.org. Businesses: using SlideShare, LinkedIn and Twitter – #P2T2 as amplification platforms for the content. Students: YouTube short informative animations based on the ‘Did you know?’ theme. A Facebook page was also used to share updates. Educational institutions: A Massive Open Online Course (MOOC) was produced which summarised the search and social media aspects of the website through a series of 12 x 15-minute long tutorial videos. The campaign was phased in over 18 months, during which time the project was researched and content assembled. The first versions of content were added to the website in July 2013. Individual countries’ ‘English versions’ of business culture information were also uploaded. By September 2013 all other language versions of the content were published. This was followed by SlideShare and regular tweets of the SlideShare links. The partnership also worked on conventional link building to develop links from their institutional web pages and other related projects. As part of the wider project, off-line awareness raising was developed through five workshops in the five project partner countries which allowed for some local support as well as feedback on the campaigns. From 1 September 2013 to mid-January 2014, the improvement was 10.440% – organic SEO brought 38,472 visitors to the website compared to 365 visitors in the same time period in the previous year. Objective a) The target was set at 3,000 visitors arriving at the businessculuture.org website from search engines. This was successfully met with on average of 8,549 visitors in the months post the project completion until mid-January 2014 – this is 185% over the set target. The monthly visitors are increasing and from 21 January to 20 February we have had 24,136 visitors from organic search alone. 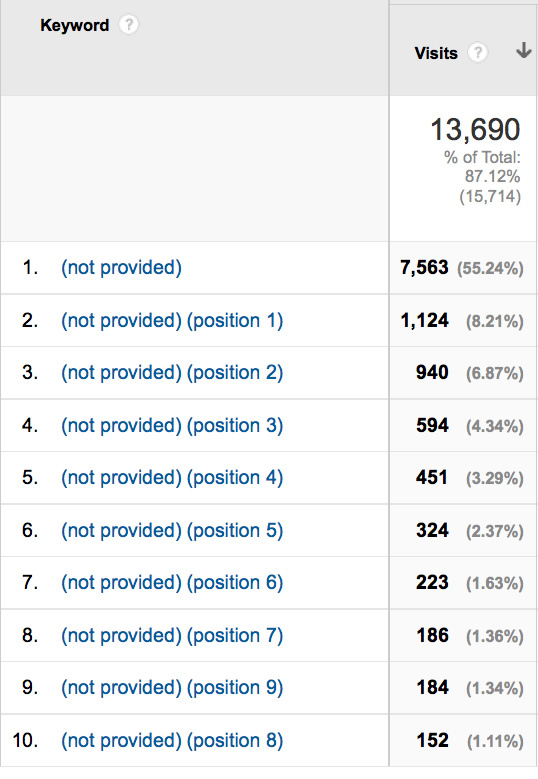 Primary key-phrases were met from the keyword plan within two months of the site going live. The site is currently ranking on the first page for the English-based keywords – which are the most competitive of the languages targeted. Getting to rank on the first page for primary key phrase ‘business culture’ is aiding visitor numbers as well as ‘international business culture’ – about 10% of traffic is arriving via these terms. As a real world research project, education about search and social media and business etiquette has now been delivered to a wide international audience. This successful project and visibility campaign has set a benchmark for future research projects. 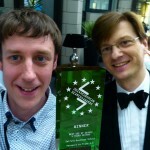 Online and offline optimisation and content production strategy and techniques were employed very successfully and have set a new standard for European research projects of this nature, enabling this valuable research to be delivered to a large global audience in a sustainable way. Objective b) This was to achieve at least 1,000 visitors per month for first page organic search traffic for the relevant keyword terms. This target was met with a success over target of 417%. From 19 December 2013 to 18 January 2014 there were 4,178 website visitors who arrived because businessculture.org was the first search result when they made a search on their search engine. These numbers doubled in the month from 22 January 2014 to 21 February 2014 to 9,454 – which is 945% over the set target. Our partners and collaborators have worked really hard on a budget and achieved incredible results. 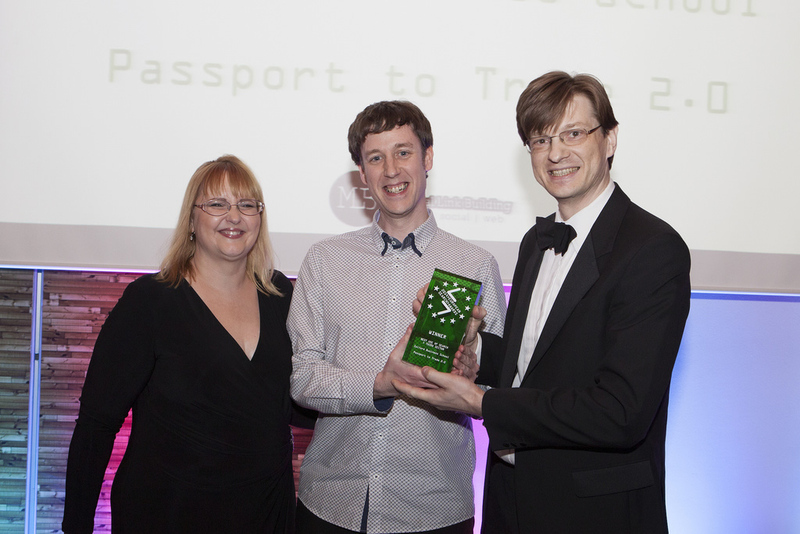 We have to extend our thanks to everyone involved and the excellent judging panel for recognising our project. 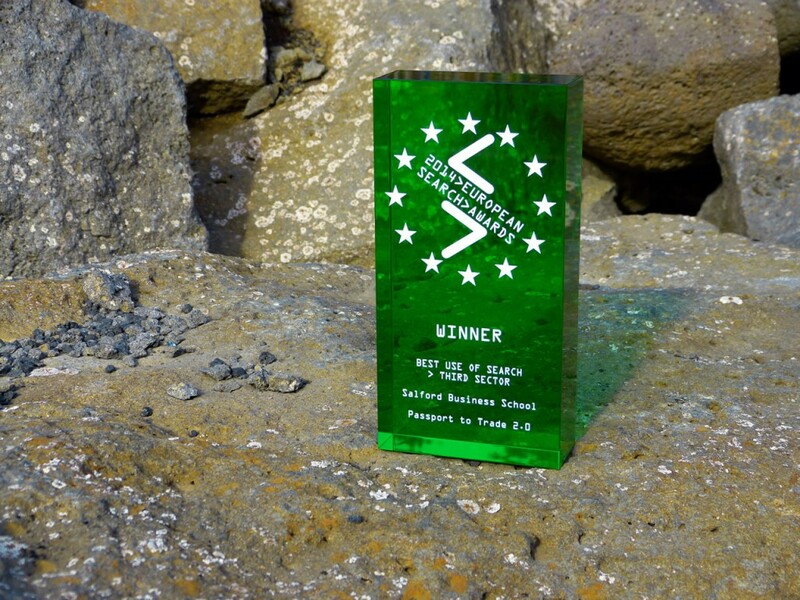 The awards ceremony was also a great networking opportunity, and allowed us to share with other attendees the news of a new project that Salford Business School is working on at the moment – the Joint European Masters in Digital Marketing.